Alexandra Brown is a lecturer in architecture within the Griffith University School of Environment. She holds a PhD in architectural history and theory and is a registered architect in Queensland. 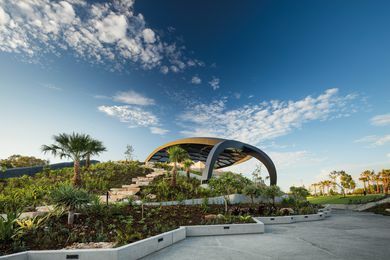 The Gold Coast’s new outdoor stage cleverly melds landscape and architecture to provide a flexible, functional and surprising space for future gatherings.